I am very pleased to say that today I will be joined once again by Mike Dammann, Rh negative researcher, blogger on rhesusnegative.net and host of the popular conspiracy-theory website firetown.com . Today we will be talking about the the meaning and possible origins of Rhesus-negative blood and the significance of the high prevalence of Rh- status among politicians and music industry celebs. Did you know that every US President since Eisenhauer has been Rh negative, as well as the British Royal family, the top pop stars of the hippie era and the most prominent member of the so-called ’27 Club’? Given that only 15% of the Western population is Rh-, could this be attributed to mere coincidence? 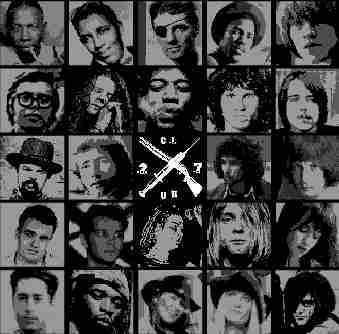 Plus, what is the ’27 Club’ and did the members ‘join’ voluntarily or were they sacrificed as part of some kind of Satanic ritual? I have O- blood, otherwise known as ‘pure blood’ or ‘universal donor blood’, which according to some makes me either an alien, a Nephilim, a Neanderthal, or even a descendant of Jesus himself. Here I was, going along in life, thinking I was just a normal human being (well, normal may not be quite the right word, but human in any case) when I was introduced to the world of Negative Blood Conspiracy Theory. And it’s a fascinating world, indeed! Today, my guest 1st hour will be Mike Dammann, Rh negative humanoid and blogger, with whom I will be discussing the meaning of Rh- status, common traits of Rh- people, and various theories on the origins of Rh- blood. Second hour, we will be joined by ‘E’, the founder of the first Rh- Internet chat group, ‘Rh Negative BLood Types’, which has swelled to a membership of 4000 since its creation in 2001. The group, which contains highly sensitive documents that are no longer freely available to the public and has been targeted by some who believe O- people are alien hybrids and should be eliminated from the planet, is no longer accepting new members. ‘E’ will be discussing O- mysteries such as why O- people cannot get AIDS, why they were targeted by the church of Claire Prophet, and why every body in the Tomb of the Unknown Soldier belonged to someone with O- blood. There’s been a lot of talk about Nibiru for quite some time. Personally, I have thought all along that there is something to it, although I couldn’t possibly guess how it will all pan out. There is always a lot of hype and fear, so on one hand you have movies like 2012 ramping up the paranoia, and on the other hand, you have very little honest reporting about it in the MSM. We hear about Nibiru, Planet X, Marduk, and Comet Elenin, and it is still not clear to me whether these are all one and the same or whether the first three are the same and the last is another body altogether. – Around September 27, 2011, there will be an alignment of Nibiru, earth, and two other planets. In the past, this kind of alignment has resulted in large quakes, so many believe we will be in for another big one at that time. – October 2011, Nibiru will pass in front of the earth and we will then go through its trail of debris. 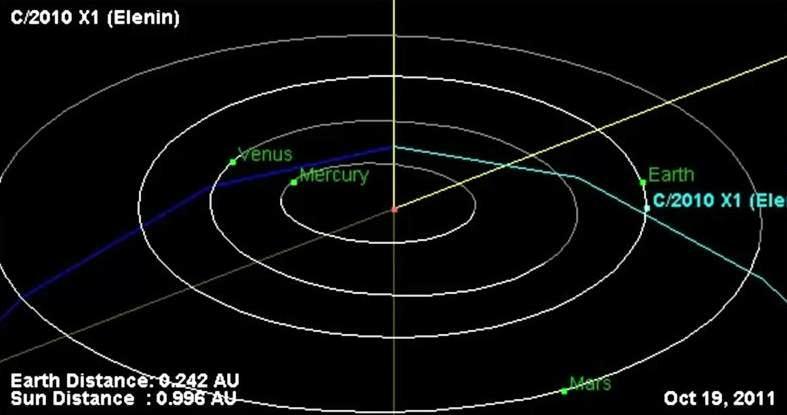 This may be nothing serious, or it may lead to us being hit by some big asteroids. – November 11, 2011, Nibiru (or Elenin, depending who you ask) will align with earth, venus and mars. I would imagine this would mean we could have another major earthquake. – According to Richard Hoagland, FEMA is planning something big for November 11. He also says Elenin is a spacecraft. – The Mayan calendar supposedly ends on December 21, 2012, but there are some who say this date is wrong because our calendar is wrong altogether. – Some say that movies like ‘Armageddon’ and ‘Deep Impact’ are predictive programming for the coming disaster involving Nibiru/Elenin. 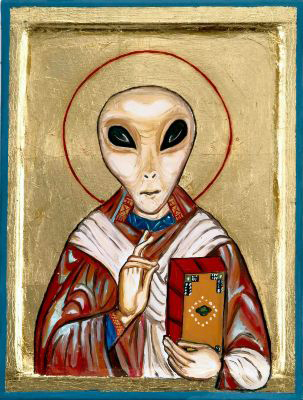 Russian TV recently disclosed that Nibiru is real and will cause a disaster of Biblical proportions. This is not something to which I have been devoting a lot of time because I just reason that if we really are about to be wiped out by a brown dwarf/comet/space station/other, there is really not much we can do about it and we would be better off to make the most of the time we have left than to worry about our impending doom. However, I do think it is important to be aware of this event because a major shift in consciousness is taking place on earth right now, a kind of ‘100th monkey’ phenomenon, and all these changes and events like the approach of Nibiru are part of that. Facing destruction by a rogue planet is not that much different than facing your own death from any other cause in that it serves to help you reflect on your life, the state of your spirit and soul, and it pushes you to rearrange your priorities. The Bible tells us to ‘be in this world but not of this world’ and sometimes it is only when we face a major threat that we start to perceive the unimportance of our material lives and realize our true nature as spiritual and metaphysical beings. 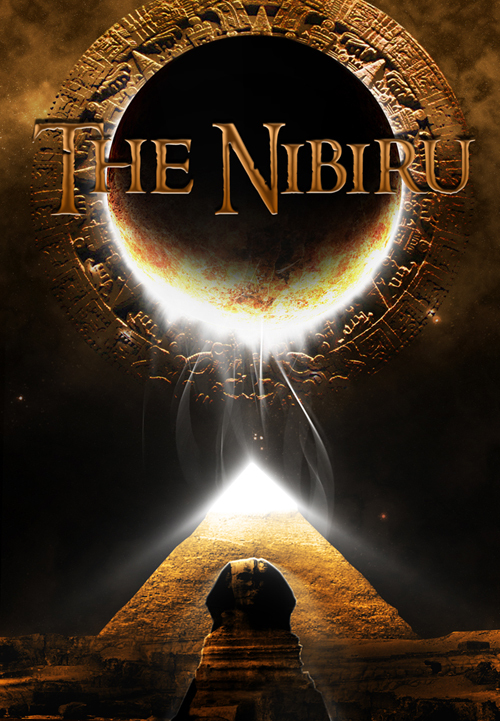 Nibiru is just another gift that is challenging us to go beyond this world. Or, it could be nothing but another psy-op. Either way, don’t get caught up in the far. New Madrid Fault- Next Disaster? For the last few weeks, I have been hearing a lot about the possibility of a major disaster happening on the New Madrid fault line in Arkansas. Here is some basic info on the fault line from the St Charles county Emergency Management dept. Being a ‘veteran truther’ I know that rumors of upcoming disasters have pervaded the Internet on an ongoing basis for the last few years, so when I first heard that FEMA was preparing for a major disaster and that it may have to do with the New Madrid fault, I took note, but filed it away under “more investigation needed before full-on freak out deemed appropriate”. However, since that time I have received more information about FEMA’s suspicious stockpiling, which is now said to include everything from blankets and food to feminine hygiene products. Then Japan was hit today by an 8.9 mag earthquake and I did my best not to assume it was once again the work of HAARP, but just as I was getting ready to accept the idea that it was caused by nothing more than a solar flare, I was informed that Benjamin Fulford, who had originally fingered HAARP as responsible for the 2007 quake in Niigata, Japan, was now claiming that today’s quake had been caused by tectonic weapons located in underground bases in New Mexico and Nevada and that the next target will be the New Madrid fault line. The horrific earthquake weapon attack on Japan, resulting in 10 meter tsunamis along much of Japan’s coast line came from rogue elements of the U.S. government located in underground bases in New Mexico and Nevada, according to pentagon and CIA sources. I know some people say that Fulford is a well-known agent, but just in case this is true, I thought I would share the information with you all. In some cases, anti-depressants kill. It has been shown that people who are on antidepressants are statistically more likely to kill themselves than people who are not. This is explained away as ‘people who are depressed are more likely to kill themselves in the first place’, although all people in the sample were depressed, and as ‘it gets worse before it gets better’- but if getting worse means jumping off a building, it doesn’t leave much room for improvement afterwards. And is it a coincidence that virtually all school shootings were committed by teens who were on antidepressants? I only say virtually to leave room for the possibility that some did not involve meds, although personally I have not encountered such a case to date. Here are some links someone sent me with further evidence that anti-depressants are associated with not only suicide, but psychosis, occasionally leading to murder. These last two are talking about a scholarly article that I have access to on ProQuest from my school and I could email you the full text with graphs if you need so you have the root source. The article is Selective Publication of Antidepressant Trials and Its Influence on Apparent Efficacy in NEJM.